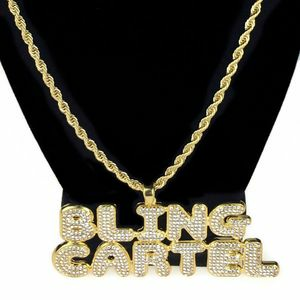 Official Bling Cartel® pendant rope chain. 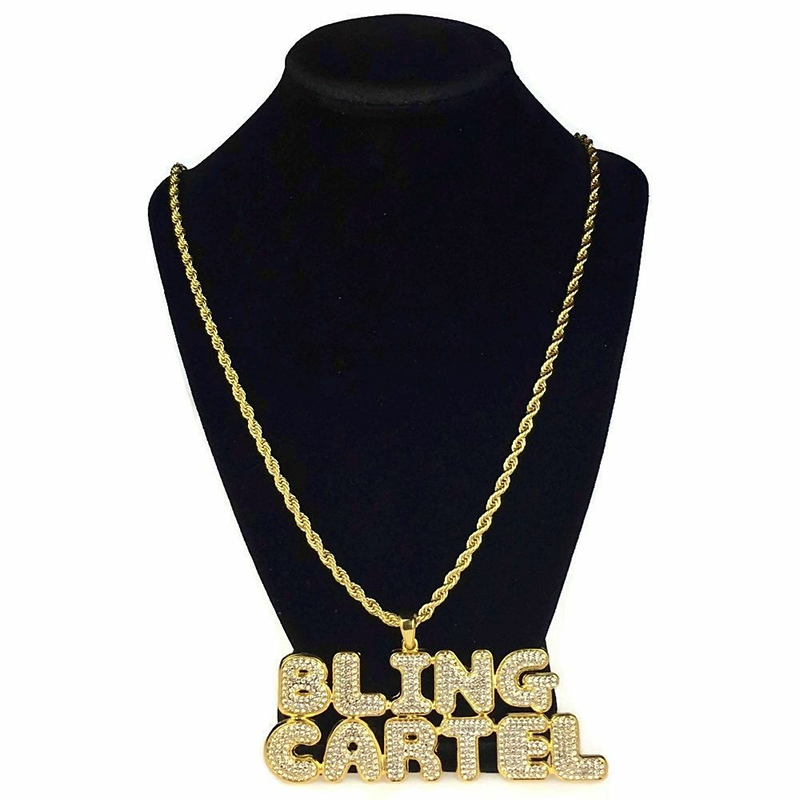 14K yellow gold plated alloy pendant. 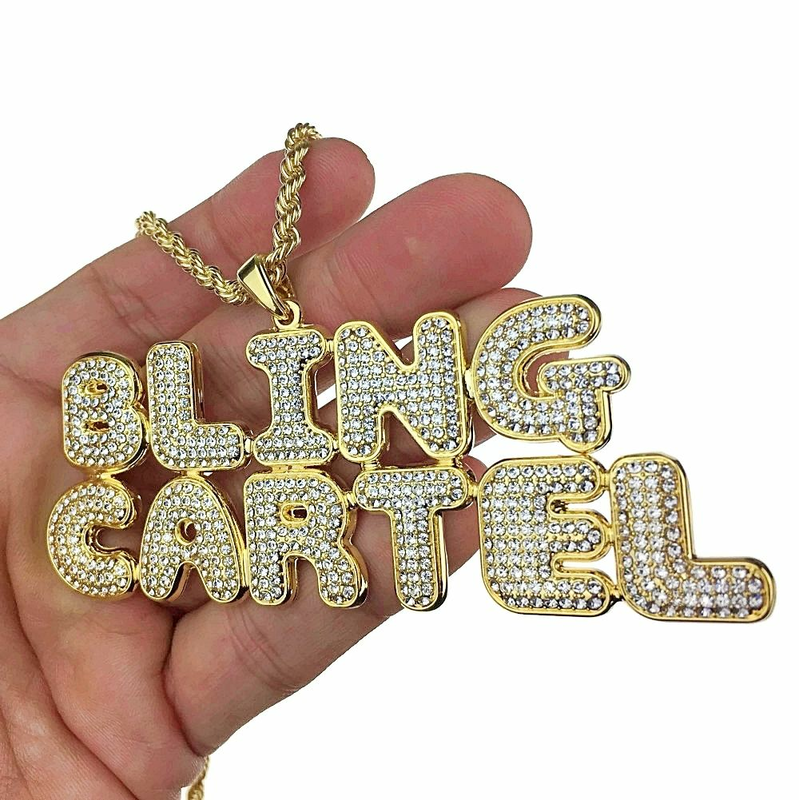 Big pendant measures 4" wide x 1.5" tall. 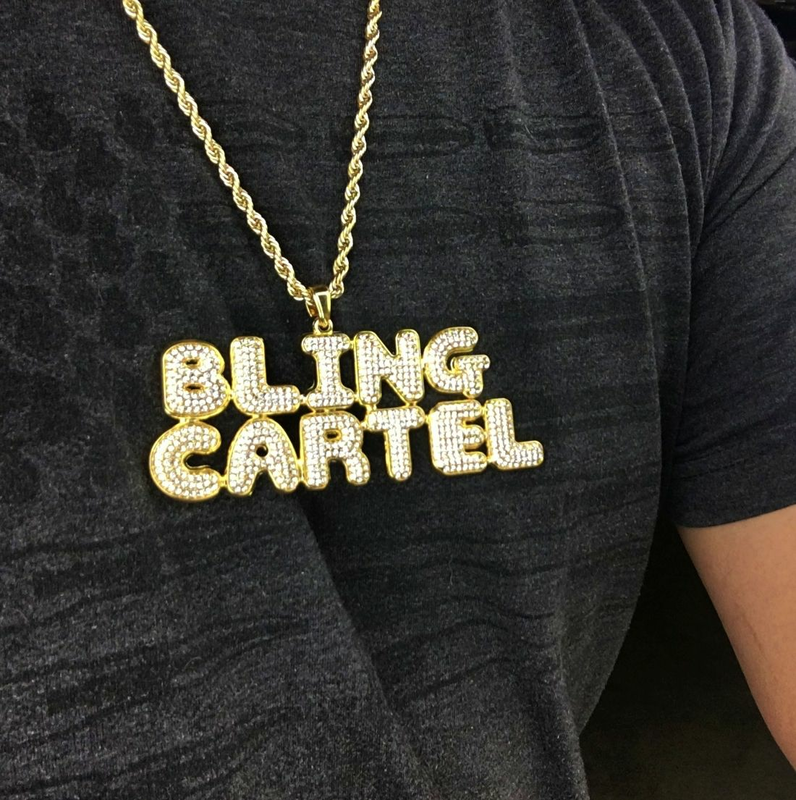 Rope chain is 24" inch x 4mm wide. Pendant is paved with round cut stones. 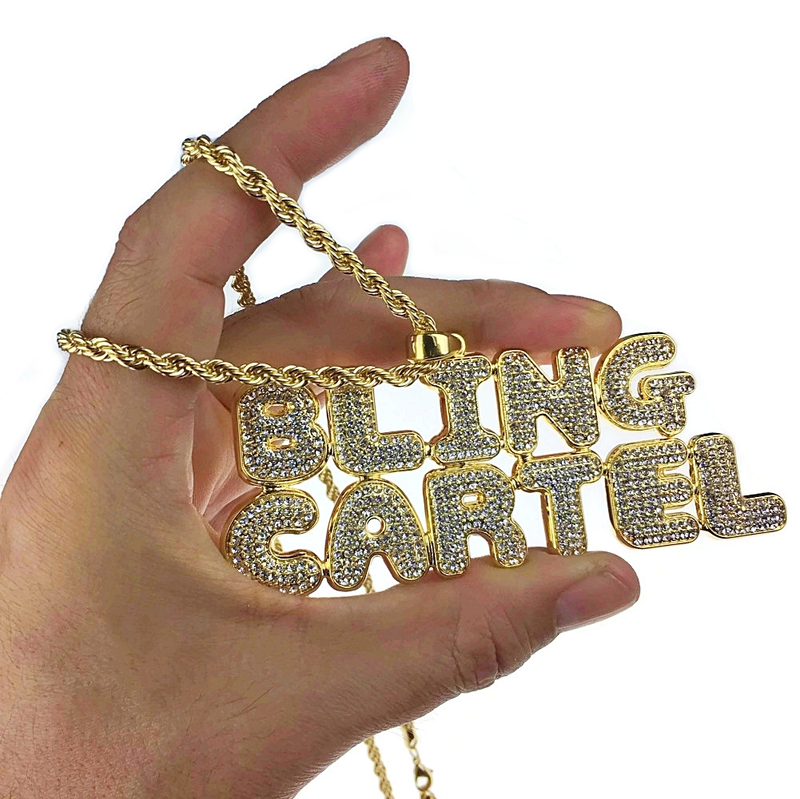 Iced-out Bling Cartel piece weighs 2 ounces. Represent the movement with this piece.